Still no possibility to create an equalization for each artist\song\genre? @maxmp, Thanks for the update. First off, thanks for giving us the ability to have multiple Genre's in our tags! Still seeing an issue in 796 with Genre handling. I have Genre's like "Pop/Rock", "Folk/Rock", etc. These are being split into 2 Genre's - "Pop" and "Rock" and "Folk" and "Rock". I use a semi-colon ";" as my Genre delimiter where I have multiple Genre's in the Genre tag. I think that some people also use a double front slash "//" as a Genre separator. A single front slash "/" appears to be being treated as a Genre delimiter which I believe is incorrect. @aless23 @maxmpFrom the version 790 on the language problem in the version 796, the problem with the selection of the selected language has been solved, but the features are still not adapted to languages, but if the program is on the English or automatic program, the program works well and this problem is not blinking the screen, in English.Specifically, I encounter a problem in Persian (Persian). Of course, most of these problems If the language of my device is default Persian is so much of the problems, it's very difficult to use the current language of the Persian language and I must test. Crashing when switching songs... how do I get back to Google Play 795? theme not avaiable yet in this build? Physical (hardware) 'Menu' button still not working in build 796. Enhorabuena de nuevo Max por tu trabajo y gracias! por COMPARTIRLO..ya falta poco campeón. Congratulations again Max for your work and thanks! For sharing..now there's less champion. Long pressing on play button doesn't stop the track (or doesn't reset track to 0:00) instead, it switches to next track, and sometimes switches to two tracks ahead. 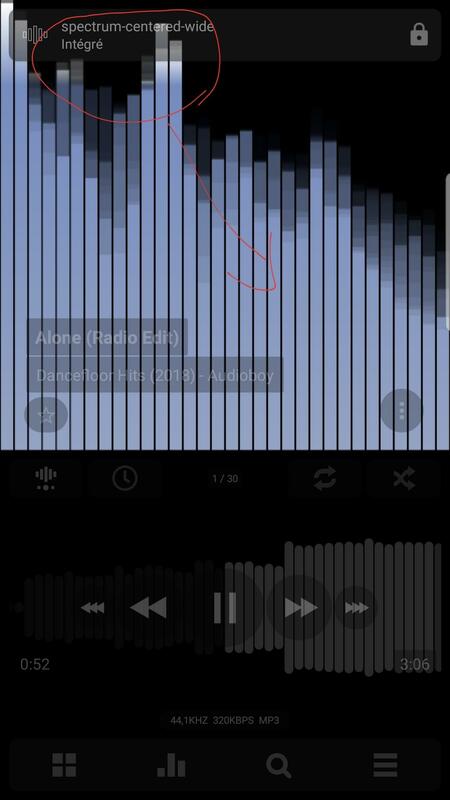 When I try to switch to the next / previous album, Poweramp always closes. I noticed that when I switch tracks ("advance list", no repeats), after last track of the album (for example 11/11), when I try switch next track (should be first track of the next album) PA closes. Maybe there is some problem with advance list? P.S. Widget works fine with albums and tracks. I'm really disappointed that the Cut Silence feature doesn't seem to be coming to v3. @maxmp again thx for your hard work it's getting better and better! Please add the cut silence function. I must agree with Kingog. An Audioplayer that doesn't support gapless can contain all the bells and whistles you can imagine but just isn't musically. It feels like traveling back in time for almost 20 years. I never bought a iPod because the first editions didn't support gapless while other brands did. Now my favourite player went from gapless to not gapless. Just to inform you on what happens: when you start playing a gapless album it's not playing gapless. After the tracks been played once, it is being played gapless by Poweramp. So when two songs are gapless the second time you play them Poweramp plays them gapless. The first time however a gapp will be heard. So Poweramp is capable of gapless playback, it just doesn't when it runs the songs for the first time. Please fix this. It will be really appreciated. 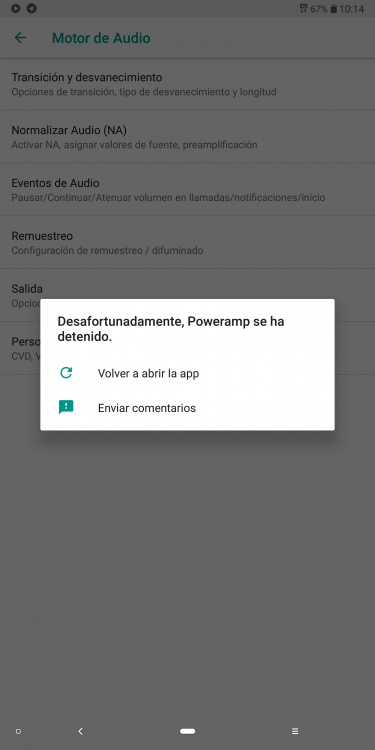 If I remember correctly another feature that was high on the wishlist of the Poweramp users was Chromecast support. Can you add this feature? Thnx! Thank you for a great job with v3. Just a question, is it possible to bring a new feature to widgets? 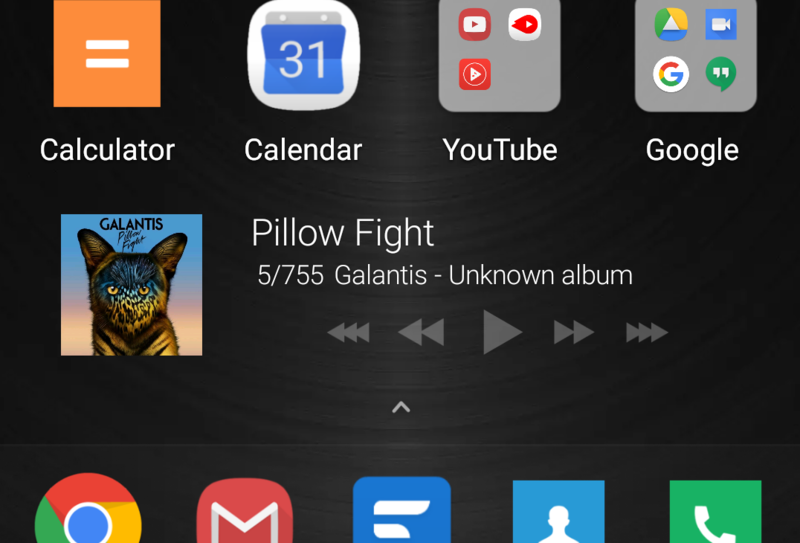 If the song has no album name in ID3 tag, I don't see "unknown album" in player but I can see it in widget. So I ask for option to turn off displaying "unknown album". Thank you in advance. Picture attached. Great update, but widgety on homescreen still crashing. I am using Nova launcher. Any advices on how to solve this problem? I can confirm that changing language to English stop crashing when entering audio engine settings menu. Just in case is useful for non English speakers. But... crashes when advancing album or after last song of an album. NO advance manual or automatic... crash. Just reporting, hope its fixed soon. It works right until it stops working permanently. Poweramp and Simple Last FM Scrobbling added to system and Samsung force sleep exceptions. To reanimate the scrobbling you have to force close Poweramp. @maxmp, could you please find some time to look into the issue? I had to go back to the workaround I was doing for scrobbling. Select Official Last FM app in the settings instead of Simple Last FM Scrobbler. That will make Simple Last FM Scrobbler work, but only about 3/4 of the time. I still have to do at least twice a week play with the two apps to get scrobbling working again. Like I said before, the scrobbling issue more likely is going to keep getting ignored. I don't get why to keep it not working, when all the other apps got it working fine but Poweramp should not have it working. Not going to go to another app just for this. Now I do have to mention I noticed another issue with Poweramp. The audio output OpenSL ES has no duck option which is to enable to not have volume stay lower when getting a notification or done with a call. I use OpenSL ES Hi-Res and no option for no duck and now it drops the volume and stays at 6% lower of what I had it at and have to readjust volume each time, which is very annoying. Please add option to no duck on Hi-Res output for each device like OpenSL ES has. @maxmp I know new features and options aren't on the menu right now, but in the future it would be great if there were an option to skip certain songs when shuffling. I usually shuffle all available songs but there are certain tracks on some albums that I'd rather skip. Thanks for the excellent update!! What about old features? Still waiting for the per song EQ assignments to come back. ? Still stuck using Alpha version for this reason. Yep, and some features that aren't working since version 2 full 100% that is being left out too. Mention in my last posts. Got a feeling won't be even fixed in full final of v3 since v2 still wasn't fulling working right. I might just forget about the scrobbling and just deal with the work around anyways. Inevitable of no fix for it, even as many people that keep asking for it to be fixed. Every single version released it has been mentioned. This is proof enough of not being supportive.